After such a long time, I've been waiting for the letter. Finally, it arrived on 18 August 2011, Pos Laju gave a notice card at my mailbox. The next day, Friday, I went to Pos Laju at Larkin to take the letter. I was so happy for this great offer. Thanks to En Abdul Rahim, Director of OUM Johor for helping me to check the status of my dermasiswa. 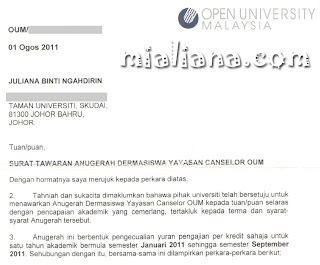 Thank you so much for Open University Malaysia for selecting me again to receive the award for this year. 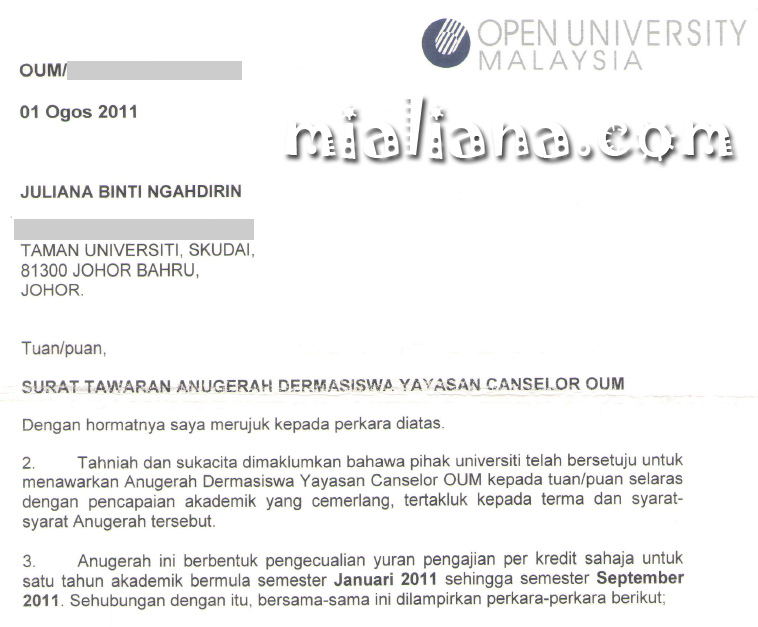 This honoured me as an OUM student and will try to study hard for the next 2 semesters. 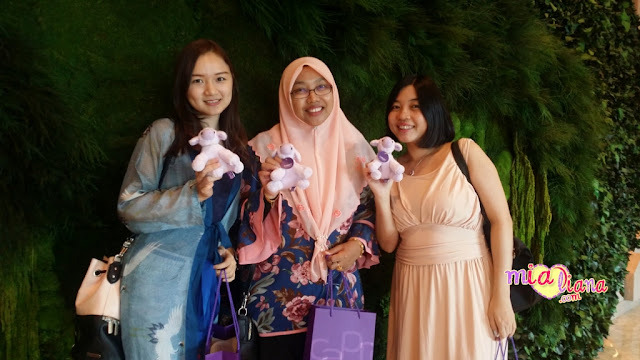 Tahniah Kak Mia.. moga dengan adanya insentif seperti ini, membakar semangat kak Mia untuk terus cemerlang. Salam..tahniah Mia...itu semua anugerah dari Allah juga buat kao..harapkao berjaya terus dunia dan akhirat!